Goofy humour, a smaller scope, father-daughter relationships – there are lots of things that set Ant-Man apart from the other franchises in the Marvel Cinematic Universe. In Ant-Man and the Wasp, though, director Peyton Reed wanted to add at least one more thing to the list. 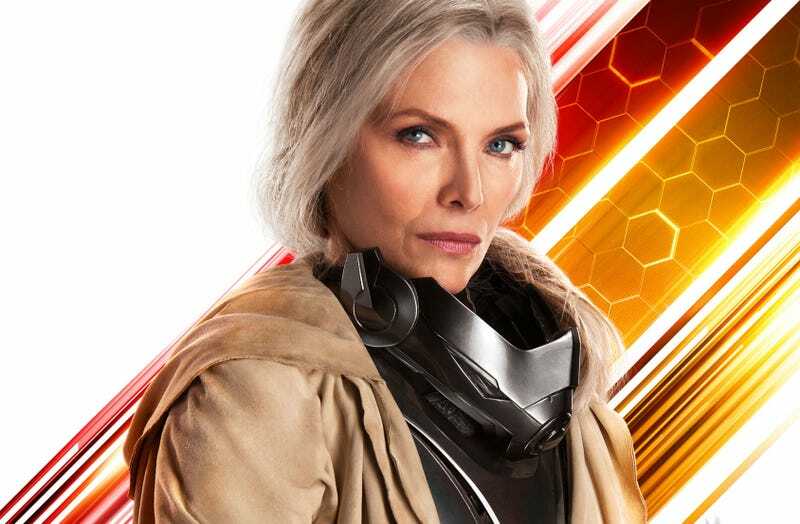 Ant-Man and the Wasp partially looks into the past of the MCU with deeper explorations of the original Ant-Man, Hank Pym (played once again by Michael Douglas) and the Wasp, Janet Van Dyne (played by Michelle Pfeiffer). Two characters who, when they were younger, had been superheroes in this world for years... until tragedy struck. 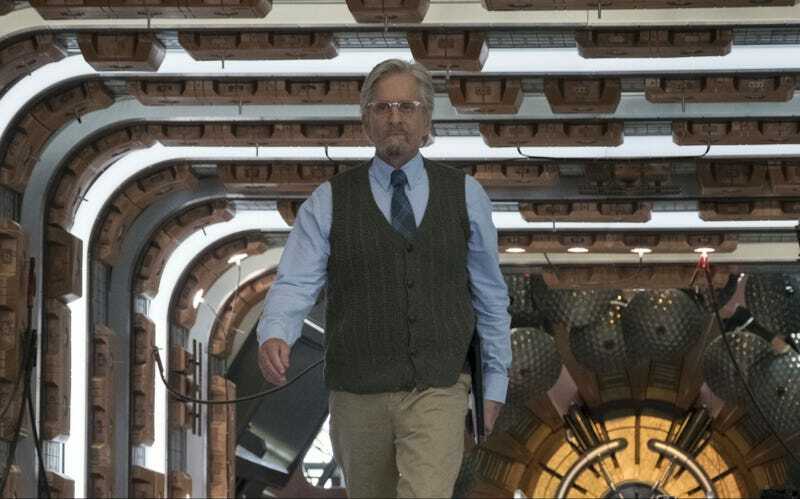 Hank Pym (Michael Douglas) has a lot more to do this time around. Of course, it’s not the first Marvel movie to do this. Films like Captain America: The First Avenger and TV shows like Agent Carter have explored the heroic past of the MCU before. The upcoming Captain Marvel will do that as well. But Ant-Man and the Wasp does so partially because the original film dictated as much. This poster of Pfeiffer in the film is the only official image of her released. For the sequel, they actually did get Michelle Pfeiffer. It wasn’t the actress’ first time in a superhero movie (she famously played Catwoman in Tim Burton’s Batman Returns), but Janet’s debut has much, much larger implications on not only Hope and Hank, but the MCU as well. The “now” in Ant-Man and the Wasp is mostly about Scott Lang (Paul Rudd) and Hope Van Dyne (Evangeline Lilly). To everyone involved, they are the Ant-Man and Wasp of the Marvel Cinematic Universe. But that’s not to say Hank and Janet will stay on the sidelines in this film or in the future. 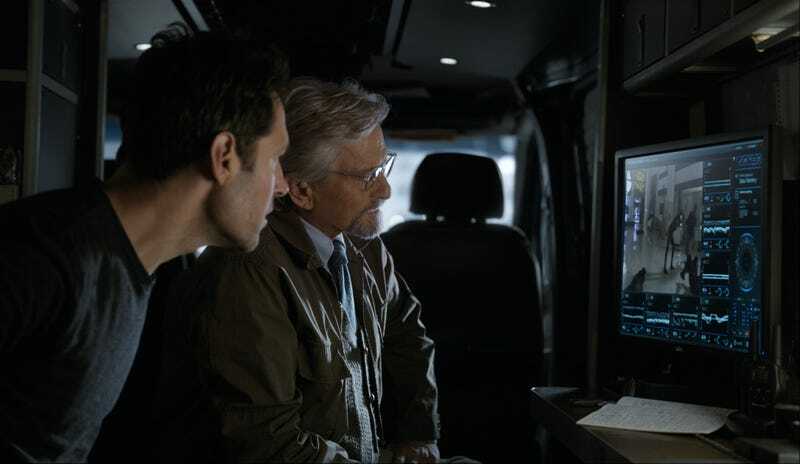 Hank Pym and Scott Lang watch Hope handle her business. So could audiences, hypothetically, see two Ant-Men and two Wasps fighting side by side in the future? It’s an idea that person in charge, Marvel Studios president Kevin Feige, admits he loves. Ant-Man and the Wasp is now in cinemas.